With Canada on the brink of having its first female astronaut Governor General, it seems a good time to review the new book by Alexander McCall Smith in his beloved Isabel Dalhousie series. Called A Distant View of Everything, this novel watches Isabel’s struggle with a match-making problem while simultaneously trying to coax her first-born to accept his newborn baby brother and attempting to edit her own publication on philosophical questions – her area of expertise. She does manage thanks to her own kindness and common sense, and the help of her adoring husband, a young musician. 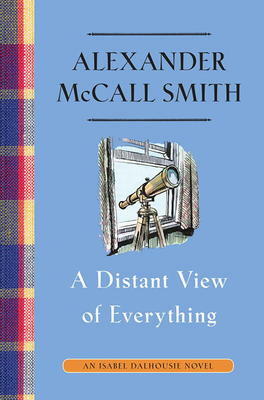 Alexander McCall Smith has built up a number of series of books starting with the No.1 Ladies Detective Agency, as well as stand-alone books. They have been translated into more than forty languages and are best-sellers world-wide. He makes his home in Edinburgh. Entertainment Weekly calls him genial and wise. You put down his books feeling not only entertained, but reassured and content. This one is no exception.